The Multilateral Partnership for Interprofessional Exchange (MPIE) is celebrating its fourth summer of operation! MPIE is a 4-week global rotation program that takes place in Santarém, in north-central Brazil. The program is designed specifically for graduate and senior level students in Dentistry, Nursing, Medicine, Pharmacy, Public Health, and allied health programs. Amizade and West Virginia University collaboratively built the MPIE pilot program, and sent their first delegate of students in the summer of 2013. Amizade paired health science students from WVU with Brazilian health teams aboard the Abaré medical boat, which travels up and down the Amazon river supplying medicine and healthcare to communities in remote, rural areas. In celebration of the onset of our fourth year with the MPIE program we are featuring an interview conducted in July 2015 with Micah Gregory, former Site Director in Brazil. Below, Micah illustrates the evolution of the MPIE program, and the challenges and successes it has faced in the process. We would also like to wish Lais Alexander, our new Brazil Site Director, all the best as she leads MPIE into its fourth year, starting today. Good luck Lais!!! JS: What kinds of activities to students do on the ground? Micah Gregory: Our program is a 28 day program, and it consists of observational rotations where the students shadow physicians or nurses or other healthcare professionals in their day to day activities, both in a land-based health care setting and also on a hospital ship, or with another community health project. They also tour health care facilities. Students go to lectures about relevant themes, such as poisonous tropical animals that are specific to Brazil and to our region, and what their consequences are for human interaction. 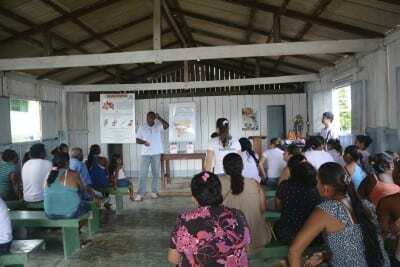 Lectures also involve preventative measures for public health issues and also tropical diseases. JS: How has the MPIE program evolved over time? Micah: The first program that we ran was very different from now. A lot of it had to do with our limited contact base, so the activities were more limited. We were also trying to answer questions of “how can we ethically involve American health care students in treatment settings in Brazil?” It’s not ethical for them to be working with patients, so something we started in 2014, the second year of the program, were preceptors and bringing on Brazilian nationals as interns. Our preceptors work with our students, filling the professional role, and in doing this, this allows our community partners to have more qualified staff to either increase their patient flow or be able to level some off, to take the pressure off their normal health care staff. And our preceptors help bridge the gap, both the language gap and also the contextual medical knowledge gaps, showing them new things and whatnot. So that’s probably been our biggest evolution to the program. A lot of our shadowing opportunities are with public health care institutions. We can’t pay them for services, so we’ve been trying to find more creative methods to help fulfill a community donation and to be more community based, and hiring the preceptors and augmenting their staff has been very successful. It’s also a way to kind of help the professional community of Santarém develop because health care jobs, unless you’re a doctor, are very limited and professional development opportunities are also very limited because where we’re at. So our preceptors are now able to have more experience and also have a better resume at the end of the program. JS: What is a challenge of the MPIE program? Micah: One of the big challenges has been finding ways to meaningfully interact with the local community in the healthcare setting. We don’t want our students to become primary care providers, fulfilling a role that 1) they wouldn’t be able to do in the States and 2) that isn’t even safe for a patient because they don’t speak the same language. So that’s been our biggest challenge. We’re always thinking of ways we can improve and do better with that. JS: What are some of the program’s successes? Micah: Some of the successes of the program have been 1) bringing Brazilian medical students in 2013 to WVU. That was a huge success for our interactions with the medical community of Santarém; it gives us a lot of credibility and it also helps validate our multilateral theme. It’s also helped paved the way to help us begin talking about implementing residency programs in Santarém and doing bilateral residency programs. 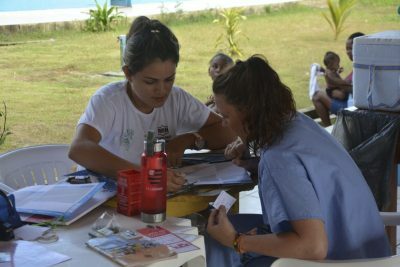 The program itself has really fulfilled the goal of allowing the American students to have an experience in health care in a different setting, but also see along with the new things, very similar things, and hopefully that will add to the way they practice medicine or dentistry or nursing. And then our internships and our preceptors there, what MPIE brings to them professionally as far as professional development, is also wildly successful in my opinion. What are some future goals for MPIE? Micah: We’d still like to see it be more multidisciplinary. Our consistent discipline has always been medicine, we’ve had nursing students and pharmacy students. We have yet to have a masters in public health, we’ve had a dentistry student once, and we’d like to see more PTs. Our one PT student came to Brazil for the program in April 2013 through 2014. He then returned to Santarém of his own accord in 2015 and is doing a year-long volunteership at one of the partners that he shadowed at, so that’s been really cool.